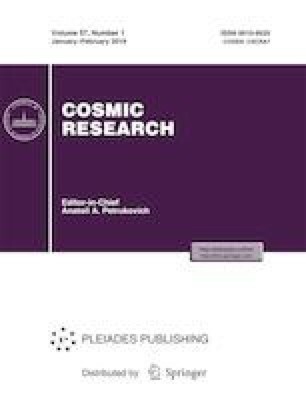 According to the data of ground-based measurements of cosmic rays (CRs) from the world network of stations, the behavior of CR intensity during the geomagnetic disturbance in January 2015 has been studied using the spectrographic global survey method. The spectra of CR variations and spectrum indexes of these variations are presented, when approximating the spectrum by the power function of the particle rigidity in the rigidity range from 10 to 50 GV, as well as pitch-angular anisotropy of CRs. It is shown that the spectrum indexes of CR variations at its approximation by the power function of the particle rigidity in the phase of maximum modulation are greater than in the phases of decay and recovery of CR intensity. The study was conducted as part of a state assignment for 2018, no. 007-00163-18-00 of January 12, 2018 using scientific equipment of the Angara Center for Collective Use and the Unique Scientific Facility, Russian National Ground Network of Cosmic-Ray Stations.